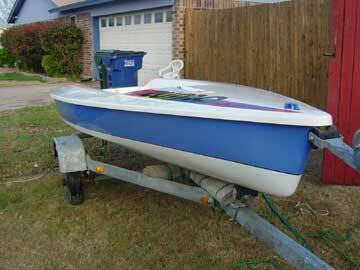 This boat is in great condition. 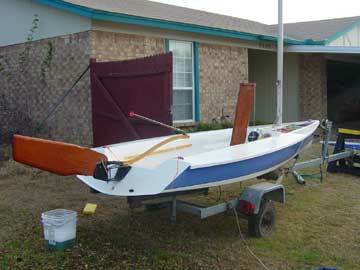 My dad and I purchased this boat from La Vida Starships in Lewisville Tx. This boat has only had one owner. I have taken very good care of this boat. I am only selling it because my wife and I are having twins and some of the toys have to go. This boat does not look like it is 11 yrs old. It has been kept under a custom made sunbrella cover while on the trailer. The hull is very sound. There are a few spider cracks in gelcoat but they are only cosmetic. This boat does show signs of use, but has been well taken care of. The boat has a built in compass which is large and easy to read makes it easy to hold a mark. It also has two cuby holes for storage for keeping things dry like wallets and keys. The lines and the sail are in good conditon the lines are original but have never been put away wet. 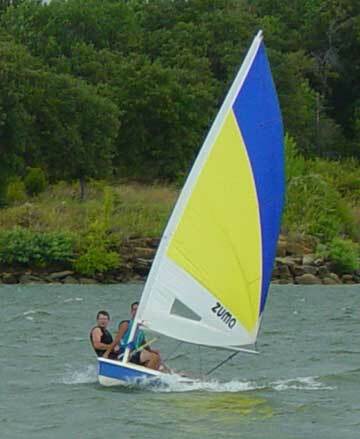 The sail has no rips or tears and is in excelent shape with all 3 battons. The dagger board is varnished wood and in good shape. The ruder is retractable and has been repaired. 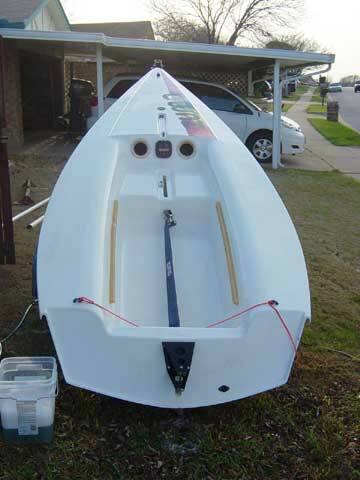 I made the mistake of putting the rudder on before backing the trailer in and cracking it. It has been repaired. This mistake was also made by my dad so we have a spare that has been repaired also. We have not had any problems with these repaired tillers. 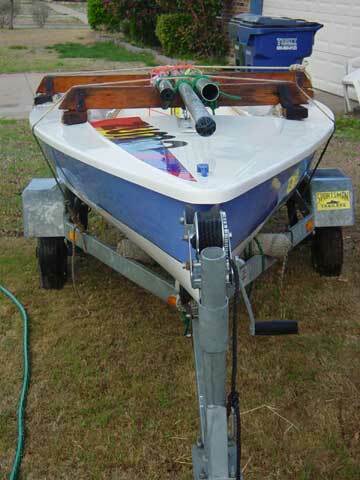 This boat comes with homemade trailer braces for the two part mast and the boom. there is also a homemade sunbrella cover for storage and keeping the weather off of the boat. 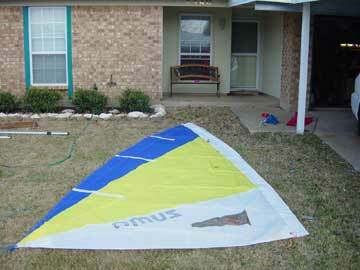 The boat cover has battons to keep the cover stiff and keep water from puddling on the cover. It comes with a trailer that has texas registration and tags. This trailer has bearing buddys and the tires are in ok shape. The trailer is galvinized I belive. It is a 2" hitch. Lights work and runners have good carpet. I have loaded this trailer by hand on grassy areas of lakes with no problem. I have sold my zuma for 1500.00 I appreciate your service It has been a great help to me.